As a result of the Nazi-regime, German law faculties lost just over a quarter of their members. Recent years have seen a growing body of literature on the contribution of scientists, historians, and literary and artistic figures who were forced to leave Germany and Austria after Hitler came to power. This volume is the first study of the important contribution of refugee and é migré legal scholars to the development of English law. 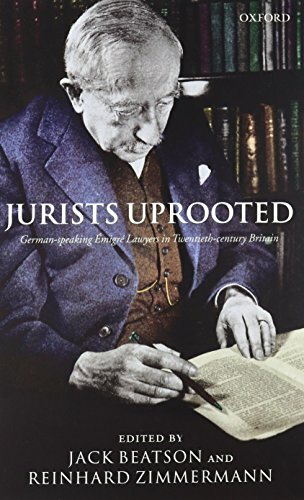 It considers nineteen legal scholars originally trained in Germany or Austria, (fifteen of whom were expelled from their posts in the 1930s) and who made their home in England, and assesses their contribution to scholarship in a very different legal system from that which they left.